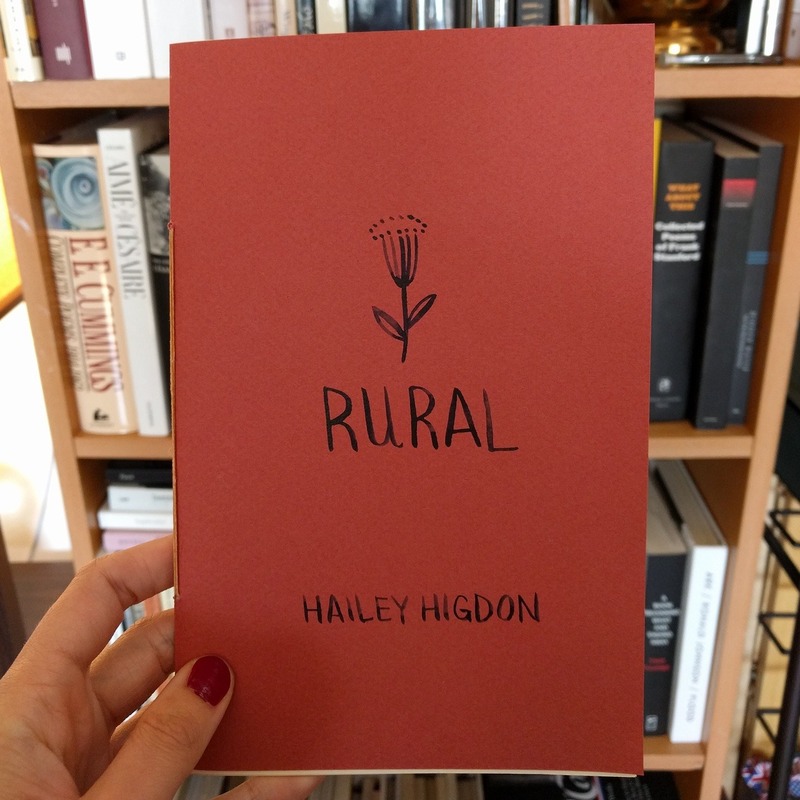 The new chapbook from Drop Leaf Press is Hailey Higdon’s Rural, which I had the pleasure of reading last night. It’s fantastic in all of its ins and outs and inspections and escalations of the cultural and geographical landscape of a contemporary and distant United States. It deserves, as poetry, as much readership as possible. Posted in Friendships, Others Poetry, Others Publications. Bookmark the permalink.